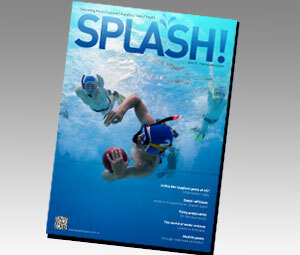 The digital version of SPLASH! 122 is live. Click here to view the digital magazine. 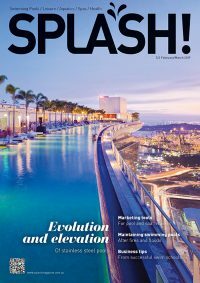 Izzy Grace looks at marketing tools savvy pool and spa companies are using to align business goals with a better understanding of their customers, while balancing digital platforms with a bricks and mortar presence. We look at a number of swim schools to find out how they found success and discover many different routes to a winning outcome – but all requiring dedication, hard work and creative thinking. 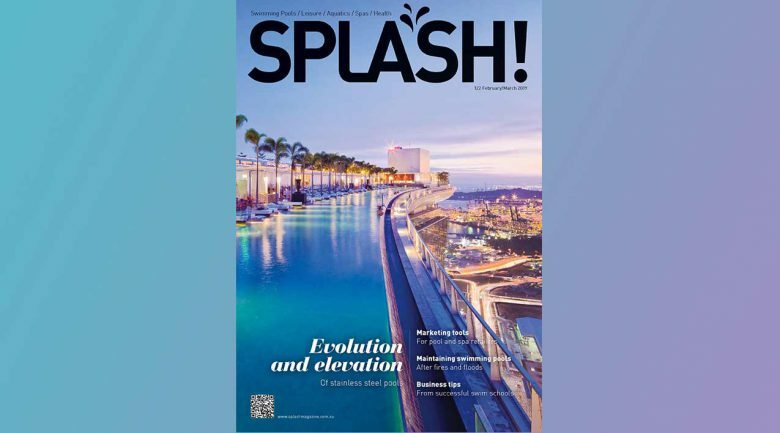 One of the pioneers of stainless steel pool construction, Mike Walsh of Natare Corporation, visited Australia as part of a global tour, and met up with SPLASH! to discuss stainless steel, filtration and all things pools. The third and final part of Cal Stanley’s adventures building concrete swimming pools and his related time in the Australian pool and spa industry. Lindsay McGrath interviews Maytronics CEO Eyal Tryber, asking pertinent questions about innovation, marketing channels, leadership and the future direction of the company. 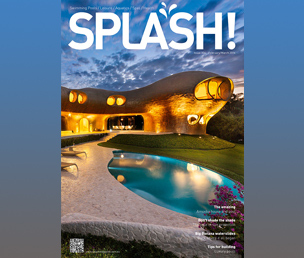 Pools featured prominently in many of the Best of Houzz 2019 Awards especially in the design and photography categories. Andrew Kidd, Poolwerx chief operating officer, says that the swimming pool and spa industry has an important role to play in promoting safety in and around water. The owners of this house wanted a strong modern statement for their new home, but needed the structure to embrace the existing swimming pool. Chris Strode explains how to manage cash flow – the lifeblood of any business – and says without it, you’ll be hard-pressed to function.